Black seed aka black cumin aka nigella sativa and honey – make a natural cure? Cancer is gone? How is this possible and what are these black seeds? The Islam has a miracle cure seed. “This black seed is a cure for every disease except death.” (Bukhaari). The black seed reffered here is Nigella Sativa. 🙂 Only that death is not a disease and we are actually blessed that death exists. What matters is how we live till we get there! And we all want to live healthy! Cancer is the disease of the century, everybody knows that. And its remedies are kept secret, we all know why. Yet, little by little all secrets are revealed, and soon enough people will know what to choose, right from the beginning. Their trust in nature will be complete. As a conclusion, this woman cured cancer with 2 natural mixtures. Black seeds with honey taken 3 times per day, and garlic with honey taken 3 times per day. Why honey? A patient with cancer should not eat sugars! Yes, it’s true. But honey is not only sugars, and we seem to forget that. Perhaps because we also forget that we call honey only the RAW HONEY. Honey contains floral flavonoids with powerful influences when entered into the body’s cells. After ingestion, the flavonoids immediately increase the antioxidant levels within cells, “decrease capillary permeability and fragility. They scavenge oxidants and inhibit the destruction of collagen in the body”. Honey has ANTIMUTAGENIC AND ANTITUMOR EFFECTS, as discovered by research lately. Honey consumption indirectly lowers overall cancer risks and improves the body’s ability to fight cancer. For all the studies and research made by now, please read Is honey a natural treatment to cancer?, or find more about how honey treats the side-effects of chemotherapy in our body and what is the perfect honey to combat them. What kind of black seeds are we referring to in treating cancer? There are two plants called both: black seed, black cumin or black caraway, and both of them are used as spices. It’s easy to differentiate them when you have them in your garden, but if you want to buy them, remember to search for the scientific name. Nigella Sativa. Which is also known as: kalonji, fennel flower, nutmeg flower, black caraway, and Roman coriander. Other names used, sometimes misleadingly, are black cumin, onion seed and black sesame. Or it is sometimes referred to only as thymoquinone – the name of its main extract, currently considered the most important factor of it, responsible for all the possible good effects in humans. 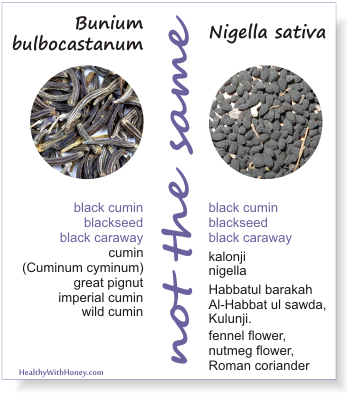 On the other hand, Bunium bulboccastanum, similar to caraway in shape, it is also called black cumin, blackseed, black caraway, or great pignut, and has a smoky, earthy taste. It is a plant species in the family Apiaceae, related to cumin (Cuminum cyminum). Dried Bunium bulbocastanum fruits are used as a culinary spice in northern India, Pakistan, Bangladesh, Afghanistan, Tajikistan and Iran, and are almost unknown outside these countries. Nigella sativa is an annual flowering plant in the family Ranunculaceae, native to south and southwest Asia. It grows to 20–30 cm (7.9–11.8 in) tall, with finely divided, linear (but not thread-like) leaves. The flowers are delicate, and usually coloured pale blue and white, with five to ten petals. The fruit is a large and inflated capsule composed of three to seven united follicles, each containing numerous seeds which are used as spice. 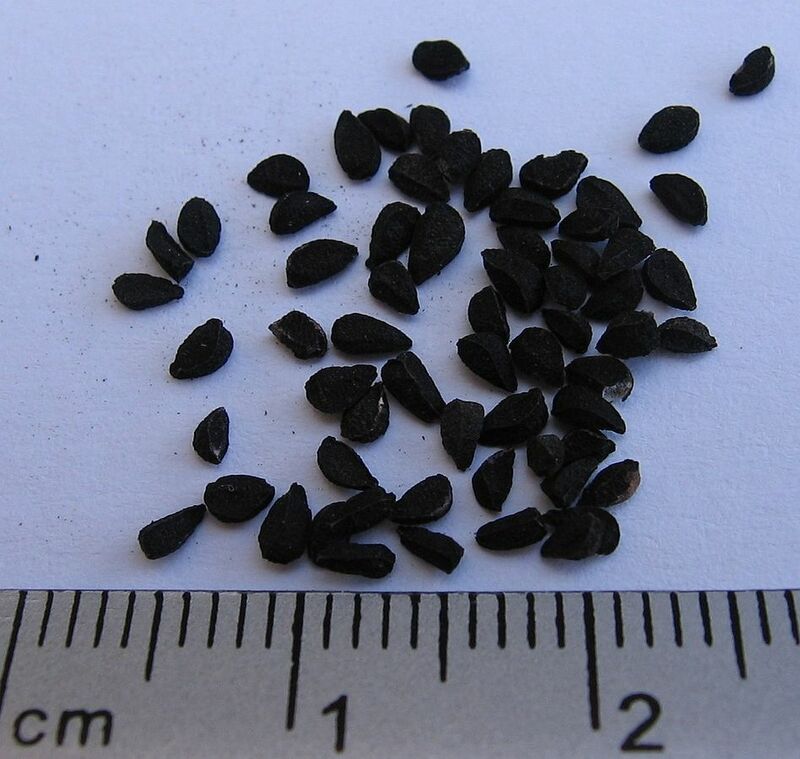 Seeds of Nigella sativa have a pungent bitter taste and smell. It is used primarily in confectionery and liquors. Peshawari naan is, as a rule, topped with kalonji seeds. Nigella is also used in Armenian string cheese, a braided string cheese called majdouleh or majdouli in the Middle East. These black seeds contain over 100 chemical compounds and some of the ingredients are yet to be discovered and identified. The main active ingredients in Nigella Sativa are: thymoquinone, dithymquinone, thymohydroquinone, and thymol. It also contains proteins, monosaccharides in form of glucose, rhamnose, xylose, and arabinose. ; fatty acids especially linoleic acid and oleic acid, carotene and minerals like: calcium, iron, copper, potassium, phosphorous. The high content of phytosterols found in black cumin oil is also necessary to the human body for natural production of hormones, pro-vitamin D and bile acid, aiding in a prevention of endocrine disorders, immune deficiency and the cardiovascular disease. The seed oil contains crystalline nigellone, beta sitosterol, thymoquinone, myristic acid, palmitic acid, stearic acid, palmitoleic acid, oleic acid, linoleic acid, arachidonic acid, proteins and vitamins B1, B2 and B3. The seeds have a very low degree of toxicity. Due to the good effects of thymoquinone, Nigella sativa is under research for its potential to affect human diseases, especially cancer, HIV and metabolic syndrome. anti-nociceptive, uricosuric, choleretic, antifertility, antidiabetic, antihistaminic. Nigella Sativa – probably the best against cancer! According to Mohammad Yaheya Mohammad Ismail in their article “Therapeutic Role of Prophetic Medicine Habbat El Baraka (Nigella sativa L.) – A Review”, published in World Applied Sciences Journal 7 (9): 1203-1208, 2009, and online on citeseerx.ist.psu.edu, Nigella Sativa has clear anticancer activity: “N. sativa decreases DNA damage and thereby prevents initiation of carcinogenesis in colonic tissue secondary to exposure to toxic agents such as azoxymethane . In fact, sustained delivery of TQ (derived from N. sativa) is almost as effective in causing apoptosis of colon cancer cells as sustained delivery of 5-fluorouracil . Similarly, hepatic metastasis from tumors such as mastocytomas is markedly decreased following administration of N. Sativa.” For all the detailed scietific explanation please see Further Reading, in the foot section. There are over 462 studies made by now. • The Cancer Research Laboratory of Hilton Head Island, South Carolina, USA, in 1997 stated that it had enormous success in tumor therapy without the negative side effects of common chemo-therapy. They found that it increased the growth rate of bone marrow cells by a staggering 250% and inhibited tumor growth by 50%. It stimulated immune cells and raised the interferon production which protects cells from the cell destroying effect of viruses. The cancer research group concluded that when a person has a healthy immune system, cancer cells are destroyed before cancer can pose a risk to a person’s health. They concluded that black seed oil is an ideal candidate for use in cancer prevention and treatment, and that it has remarkable promises for clinical use. • Pancreatic cancer is the fourth leading cause of cancer deaths in America, because the survival rate after five years of conventional cancer treatment is sadly only 4 percent. A study conducted at Kimmel Cancer Center, Traditional Herbal Medicine Kills Pancreatic Cancer Cells, at Thomas Jefferson University, Philadelphia, revealed that Nigella sativa DESTROYED pancreatic cancer cells – with an incredible 80 % cancer tumor cell death! • After chemo and radiation. Dr Leonard is a pediatric oncologist that for 20 years researched many seeds to create a seed extract formula to help children rebuild their immune systems after chemo and radiation. His choice for the formula was Black Seed, Black Raspberry seed, and Grape Seed. Then they added Dribose and what we now have is a very powerful seed extract that is 281 times stronger than aspirin for pain and inflammation. The folk has lots of stories, with patients following different protocols and treatments. A story tells us about a young boy who cured his brain tumor with 9 capsules of black seed oil. If only it would be that easy for everybody! How should we take black seeds and honey? First we should not forget that nothing works alone. If you live a life in hate and envy, eat junk food and don’t exercise, but eat black seeds, don’t expect to be cured anytime soon. The cure comes first from the inside of your spirit, then from your life-style. Make peace with yourself and the world, and then help your body with good natural medicine like the black seeds. In a good environment, the body has everything needed to heal itself. We can find Nigella Sativa in two forms on the market: as raw seeds or as oil (encapsulated or bottled). It was part of the tradition to put some honey and ground whole black seeds in the palm of your right hand and lick it up with your tongue. In the days of Prophet Mohammad, he was taking them like that; there was no black seed oil back then. Combine 1 teaspoon of oil with 1 teaspoon of raw honey (or freshly squeezed juice) and take them 3 times per day. One with half an hour before breakfast, one in the afternoon and one just before bedtime. You can replace the oil with the seeds, only that they need to be heated first (otherwise it will burn your stomach) and then ground. Put the seeds in a frying pan on a very low heat and stir them from time to time. When their flavor is gone take them off and ground them. There are many protocols of natural treatments that contain black seeds. Find the one that suits you best and then be consistent and have confidence. She refused surgery, high-dose chemo and radiation. But did not refuse herself the right to live and heal in a different way. After years she founded a non-profit foundation for the advancement of integrative oncology. bestanswerforcancer.org. The book shares her story and her expert opinions tested after years of working with cutting-edge integrative oncologists. Available on Amazon.com and Amazon.co.uk at only $11.89 on kindle, though I recommend it on paper (at $23.70). It’s more a workbook and you need to come back to certain paragraphs, you need to underline, to circle, to feel the paper between fingers… you know. Prophet Mohammad (PBUH) stated, “Hold on to the use of the black seed, for indeed it has a remedy for every disease except death.” “Hold on,” indicates that one should take the remedy daily and take it often and regularly. Where can we buy black seeds from? You can find them on Amazon (click on the pictures below), but there are also producers that sell online: Hab Shifa, Hemani, Sweet Sunnah, and so many other. · How to cure HIV? The black seeds, Nigella Sativa, have the answer! · Is honey a natural treatment to cancer? – Iddamaldeniya, S.S., M.I. Thabrew, S.M. Wickramasinghe, N. Ratnatunge and M.G. Thammitiyagodage, 2006. A long-term investigation of the anti-hepatocarcinogenic potential of an indigenous medicine comprised of Nigella sativa, Hemidesmus indicus and Smilax glabra. J. Carcinog., 5: 11. – Maxwell SR. Antioxidant vitamin supplements: update of their potential benefits and possible risks. Drug Saf 1999;21:253–66. From where to buy mead wine? How to cure HIV? The black seeds, Nigella Sativa, have the answer! Amazing info! Thank you for being so dedicated to to the world. My father has Multiple Myeloma, diagnosed 1.5yrs ago now and is undergoing chemotherapy. Although his light chain count is stable his kidneys functionality has suffered most of the damage – currently at 15% GFR. Doctor say it is unlikely the kidney functionality will improve and it it drops to 10% he’ll need to start thinking about dialysis, etc. You can imagine, he’s feeling a little low as a result. So it’s difficult for him to remain positive as a means to help himself get through this. In addition to the fact that doctors will tell you the Myeloma will never completely disappear. Only can be controlled. I’ve read all the posts in your blog but couldn’t find anything related. I’m about to recommend him starting black seed oil with sidr honey but not sure what dosage I should give him. Would it be the standard 3 times a day of 1tsp of each? Any other links to more specific remedies for his condition would be helpful. It’s amazing what you and others are doing. Keep the momentum!! I’m sorry about your father’s problem. Yes, you can give him sidr honey and black seeds, both of them have amazing health benefits. Nevertheless, I have to be objective here and tell you that your father’s body has been attacked from 2 sides, Multiple Myelom and chemotherapy, as I’m sure you already know. It’s hard to tell which of the two have done more harm. Chemo is pure poison and there is no quantity of honey able to neutralize it. Yet, it may give him some relief, in standard doses, of course. As for the other alternatives, a clean diet, plenty of sleep, as much walk as possible, lots of sunshine (if not then supplements with Vit D3) and focus on all the other good parts of life, showing gratitude for everything, accepting and loving himself (I know is easier to say than done), watching comedy movies to cheer him up and not talking about his diseases. You know, when you think/talk about something, you send energy to that subject, and we should not fuel our diseases even more. And, if I may, though it may sound a little mystical, you can try something different (nothing to lose and it may actually work!). A little energy work that you can do for your father to give him comfort. Have you heard of Quantum Touch? Here is a recommended book: Quantum-Touch: The Power to Heal (Third Edition). Google it and you’ll see what it is about. How are black seeds generally used for Edema; Swollen feet , legs etc ? It is said that the black seeds cure everything except death, however research is far for proving it. And we need science to know how to take these natural products, in what dose. To treat symptoms like the ones you describe, the underling cause of them must be known. Then we can check if there was any experience of the black seeds in treating it. In tradition or modern medicine. Until then, we can consume it with caution, in teas or as a spice. You have written very well on black seed. Thanks for sharing the wonderful blog with me. I liked the content. This is informative and very interesting. No. They are too hard to be chewed. And besides they should be heated first so they don’t give you a burning sensation in the stomach. Vit-C 1000mg, juicing 2xdaily, flax seed oil with cottage cheese 2xDaily and 30 ml apple cider vinegar 1xDAily. It’s hard to tell what is the best for each person. Natural products are not like an aspirin, addressing to a single condition without taking into consideration all the individual. Treatments are adjustable on each person, that’s why it is advisable to talk to a naturopath. In the lack of one, youcan be inspired by other people’s stories. There are forums where you can find them. 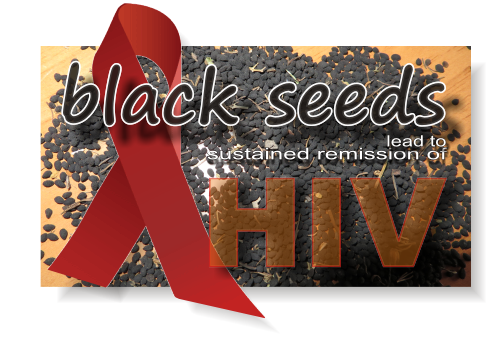 Please read this page first: Do black seeds really cure HIV? Some case reports may help! The stories are more of people with HIV, but you can get an idea. Anyway each type of cancer is different, never assume that what works for one type goes for another too. You need yo research more. Also, there are more than 1000 peer reviews now and we changed the protocol to 1 tablespoon of oil once a day given 1/2 hour before breakfast. Both honey and black seeds are preventative. But I doubt they can treat your disease. I googled it a little and I could not find anywhere where it states that this leads to cancer. Here is some info. https://www.mayoclinic.org/symptoms/high-blood-protein/basics/causes/sym-20050599. Anyway, if the cause is a virus, yes, the black seeds – honey mixture will help. Thank you for your input, it is always good to read more about this problem and have different alternatives, people can form an opinion easier. My father has been dealing with prostate cancer for a couple of years now and is about to begin treatment. Does anybody have any information or personal testimonials about how marijuana has helped you or your loved ones in their battle with cancer or other illnesses? Any information would be much appreciated. I have read many articles suggesting highly concentrated cannabis oil can be effective not only in treatment of symptoms like this one from http://www.ilovegrowingmarijuana.com/khalifa-kush/ but also in the actual treatment of the cancer itself. Does anybody know if there is any science behind this? I am very familiar with the high and physical effects of cannabis but I cant find any solid conclusive evidence that speaks to its efficacy in eliminating the cancer cells themselves. Any help or personal testimonials is much appreciated. Marijuana will never cure prostate cancer, take honey with black seed oil in empty stomach for 4-5 months , thrice a day, Inshallah your father will find cure, also very importantly.., avoid eating Meat, chicken, dairy products, beef, any meat for that matter , fried items , stop taking alcohol, milk fats, these foods will increase risk of cancer, and more importantly your father has to lower his gaze on women, this disease is harmone related , in other words its linked to faith in Islam. Mohammed, beautiful reply there Sir. Thank you for your input. And although I am a woman and do not belong to Islam community, I have to admit there is truth in that old teaching of yours regarding gazing on women, especially when you have prostate cancer. A medical doctor (man) has recently told me that it was discovered that prostate cancer is triggered by a hormonal imbalance. Once the sexual hormones are released into the body (even if sometimes this happens only at the subconscious level) they need to be satisfied one way or another – for lack of a better word. If not, they can gather somewhere and eventually trigger prostate cancer. I know it may sound strange coming from a woman, but yes, westerners proved that sexual stimulation only (without a finish) leads to prostate cancer. Try online shops. But, I remember reading something amazing, of a girl with brain cancer who was given only a few weeks and who took incense essential oil. She put a drop on her tongue and kept it on the roof of the mouth until complete dissolution. She did that couple of times per day, I don’t remember how many times. The point is that her tumor disappeared soon and she was able to continue her school. Anyway, please google it I’m sure you can find more info on this. All the best! Hi Laura, I m having IBS-D . SHould I heat it before making pwoder & thn add with honey? Unheated black seeds powder may cause a burning sensation in the stomach, not your bowels. But honey is a problem for IBS! 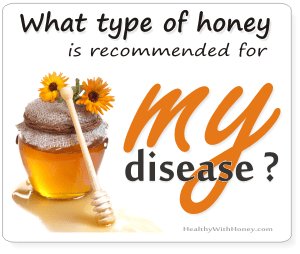 (please read Can I have honey in IBS? Try finding a type of honey which has an equal ratio of fructose/glucose, or more glucose than fructose (Sugars in honey and why honey is so sweet, otherwise too much fructose will ferment and cause you pain. If you cannot find such a honey, or are not sure of this fructose amount in the one that you have, you can take the black seeds without honey, in warm water or a juice. Heat the seeds in a pan on a very slow heat until its specific scent goes away. Not too much, you don’t want to burn them. Let them cool and then grind them into powder. I have 650mg black seed oil capsules. How many mg a day is recommended for arthritis? According to this study, results were obtained after taking Nigella sativa oil capsules 500 mg twice/day for a month. If I were you I would take 2/day. I am also a health blogger and running many health blogs this time. I love to read others blogs. 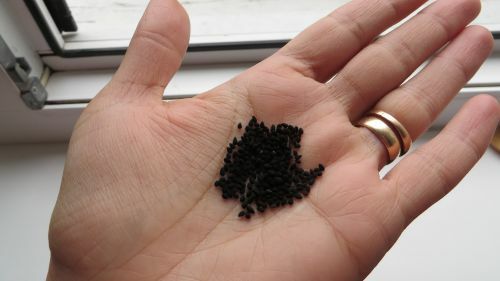 In this blog, you said well that just intake black cumin seeds wouldn’t help us. 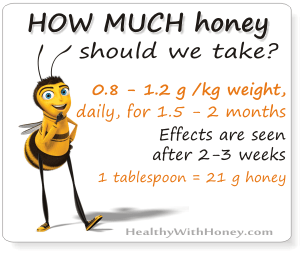 We need to intake with honey like in early days people do. Physical Exercises in daily routine is also necessary for healthy lifestyle. PS. I like your blog, too. I let the link there. Good morning, Laura!! Thank you for this very informative article. I would like to know what difference does it make when one heats the seed. Does bbit release more of the active principles in the black seeds? Is it ok to take them raw? When we heat the seeds we destroy a special compound that would otherwise burn our stomach. That is why it is recommended to be heated first. I personally have a sensitive stomach so I’ve never tried them raw. Thank you for telling us the effects you feel after using the black seeds. This is very important for our readers, gives us all trust and confidence in the plant. Thanks again for your input. I have cancer of the leg,how do I use black seed and honey to cure it? All my work here is only informational. I don’t have the necessary qualification to offer treatments. You need to talk to a naturopath and to follow the forums related to black seeds. These have been indeed miraculously, but you need to know how to take it in your specific case. Reading other people’s stories can give you an idea of how to start. Please see this page: Do black seeds really cure HIV? Some case reports may help! But till you get to talk to a professional, you can start taking black seeds powder with honey, or alone if you choose- in tablet form, it will only bring good things to your body. Can you tell me is the black seed oil safe to take if you do NOT have your gallbladder? Or is it safer to use the powder form? Also which one is better for treating h pylori? Final question which is more gentler on a sensitive inflamed stomach? I don’t want to disappoint you, but I cannot answer your questions as they exceed my area of expertise. Please ask a naturopath, he must know this. From people’s experiences – as they are reported on forums – I understand the powder is better than the oil. In everything. But I don’t know which form is gentler with your stomach. I guess you’ll need to experience this yourself. Start with smaller quantities and be very alert regarding all the effects on you, good or bad. Can you also tell me is it best to take before or after a meal? I am reading different opinions on this. Also if you are using the powder do you mix it with the honey to take it? I personally take it with honey, but it’s easier to take encapsulated powder for a steadier treatment. I don’t think there is much difference if it goes with meals or not. I take it for stomach pain so I take it without any other food. Only the powder mixed with honey. A teaspoon. Can you be more specific about how to heat the seeds? How long do you need to heat them and after you grind them how long do they keep for? I guess they should then be kept refrigerated? OR do you have to make it fresh every time for that small amount of seeds? You need to put the seeds in a pan at very low heat. Stir from time to time. The seeds have a specific odor (pleasant, in my opinion) but with heating this odor disappears. It doesn’t take long, a few minutes. I use my coffee grinder to grind them. From the powder, I put one spoon in a small jar of honey and keep it on the kitchen table and the rest, yes, goes into the fridge. When I finish the jar of honey I make another one with the powder kept in the fridge. My husband Jackson Rob was diagnosed with lung cancer. He has undergone radiation and chemotherapy, and currently in 6th month of chemo 5 days of each month. Since radiation therapy was completed about 6 months ago the lung cancer have not gone. I was making research online on any possible solution that could help my husband and I came across how cannabis oil have helped a lot of people around the world to cure any kind of cancer. I was so happy and relief when I saw this and I knew there was hope for my husband to live. I contacted Medicinal Marijuana Resources via E-mail info@medicinalmarijuanaresources.com to get the high quality THC cannabis oil for treatment and prescription on how to use the cannabis oil for treatment of lung cancer. My husband started using the cannabis oil for treatment as directed by Medicinal Marijuana Resources expert team. As I am posting this comment, my husband lung cancer is completely cured and gone and he is healthy and living fine. Can u 100% tell me that it will cure lung cancer ?….and how to use and where to buy this oil… Plz help…. Haneef, there is only one thing in this world that is 100% sure: death. Except for this, nothing is. There is no drug, no remedy, natural or synthetic that can work for everyone. Everything is connected to your own being, spirit, soul, purpose in life etc. The best thing we people can do is to want something different, to hope for it and to do everything in our power to achieve it. If black seeds worked for so many people, let’s put our trust in it and give it a try. Harun, things are not that easy to solve. Of course you can take capsules of black seeds powder (it’s better than the oil) but you need to go back in time and realize what triggered that dysfunction. What situation, what feeling, person etc. Your body decided to go on strike for a reason, not because it’s out of order. Yes, it is never too late. I also wish her the best. Whatever this means, I’m sure her higher self knows more than we try to understand. She is blessed to have friends like you anyway. Please could any knowledgeable person share if black seeds can be used with skin condition psoriasis? Thank you for your input here. Much appreciated. My sister struggles with advance bladder cancer. and metastatic lung and now she has done nephrostomy her two kidneys. last year she had done 11 times chemo trophy. but now oncologist said that we can not do any thing and she can live just 2 or 3 months. PLEASE HELP US WHWT WE CAN DO. to drink red oinion juice with pommegranate 100ml plus 100 ml to add 1 Ts of black seed oil drink it 30 min, better 1 hour before eating 3 times dayly 3 months. dont eat a meat!!! if you want to recover and you are a muslim.. read surah Baqara, Saffat, Jinn 3 hours at all into 5 liter water and 5 liter oilve oil..
drink 1 cup, wash with the rest and rub the oil.. do it 3 months.. maximum 6 months.. for protection read a prayer ayat Kursi mornings an evenings. Always. Cancer is a desease of evil.. Jinn. you shoul ead until the jinn goes out. If you can, there is a clinic in Tijuana, Mexico, your sister needs to stay there for only 1 day and she’ll get the right treatment. People with only weeks left to live got cured there. It’s called Bio Medical Center and follows the therapy of Harry Hoxsay. It is said that as long as a person lives there is still hope. All I can do for you is direct you to watch some films I’ve recently watched myself. I’ve found amazing things. For example that cancer can be cured with the help of a virus – I didn’t know that. And so many other things. The videos are free to watch. Here is the first episode, please watch them all. laura i forget to mention one thing i am not taking black seeds powder with honey i am taking only plane as i am affraid of acne and pimple from honey. Earlier i wrote about my depression and sleepless nights .In our holy book (Quran) it is mention to take black seeds for it and you also suggested the same Thanks . By the grace of allah i am getting proper sleep the problem is i am getting itching due to that i am rubbing the body where i am getting itching and soon after some black marks and some rashes type of marks are apprearing i thing it is like allergy you can say on my legs arm and at by back body. Kindly suggest i dont want to leave back seeds.Allahdulliah. I really don’t think you can have an allergy from the black seeds. In this article: Nigella Sativa, the black seeds, can cure every disease. Come on… I have also written about its antihistaminic powers. In fact, there was a funny episode, in 2010, with Nestle, which try to get a patent on the use of Nigella Sativa to “prevent food allergies” in its cereals. Like an exclusive right to use the black seeds in their products! To own the black seeds. Of course, it’s hilarious and the authorities probably thought the same, as they refused them the patent. But the idea remains. The black seeds are really efficient in fighting allergies. Search for the source of your allergy in a different part. And yes, the seeds are very efficient even taken separately, as tablets for example. Yet, it’s a pity you cannot take raw honey. Have you tried sidr honey? Dear Laura, I am 69 years old MM Patient. have Undergone BMT twice first time at the age of 63yrs and then relapsed after 04 years. I have started takinf Black seed ( Kalonji Seeds) with honey morning empty stomach. How far will it help me to avoid any relapse in future ? Please elaborate. My Regards. Presently I enjoy good health other than neuro peripheral side effects of my BMT . REGARDS ! This is an informative site. I’m not a medical doctor, I cannot help you with an advice on your specific condition. It is said that the black seeds don’t have side-effects so I think we can only hope they can do great things for you, too. The only advice I can give you is that you should try to heal your emotional and mental body as well, so your physical body can be fed with clear, positive energy. As you surely know, you are more than your physical body, and it is in our power to control the rest. Anyway, please receive my admiration for your fight. It’s not easy to survive, to stay focused and to continue to love life. Garlic is best when it is crushed. That smelly substance (alicine) is released and it is the best form to take. The thing is that we cannot crush and eat so much garlic as we need for a therapeutic effect. That’s why veg capsules (with smell) are very good. But before taking it please also read this article Garlic – friend or foe? And you don’t need to mix it with the black seeds oil. Take them separately. MY 3 YEAR SON FREQUENTLY GET FEVER AND VOMITING HIS PEDIATRIC DOCTOR GIVES HIM ANTIBIOTICS THEN HE WILL BE FINE. THIS WILL HAPPEN EVERY MONTH.I AM WORRIED WHY THIS HAPPENING I GUESS HIS IMMUNITY IS WEAK CAN I USE KALONGI SEEDS FOR HIS STRONG IMMUNITY HE IS VERY SMALL ONLY 3 YEARS CAN U PLEASE LET ME KNOW HOW CAN I USE KALONGI FOR HIM. Please forgive me for asking a personal question, but have you been seeing black snakes or lizards in your dreams recently? Fever, vomiting and antibiotics every month – this is something that should tell you that you need a different pediatrician. Really, go and see another doctor, because this has nothing to do with the child’s immunity. On the other hand, you can give him kalongi seeds, as they are good for digestive problems. Heat the seeds first (but do not burn them), grind them and mix the powder with honey. Give a teaspoon to your child in the morning. And as a must, give him probiotics. But seriously, go and see another doctor. Sorry didnot mention the complete health issue. I have depression for which i have sleepness nights. please suggest me some natural remedy. I am going through depression problem can u please explain how to use Kalonji for my depression. Kalonji, or Nigella Sativa seeds are very effective indeed, they can lessen weakness and depression and improve body’s vitality. Several studies have shown that this plant can improve memory impairment, anxiety, depression, epilepsy, neurotoxicity, neurodegeneration and pain. In addition, the studies concluded that through inhibition of acetylcholinestrase enzyme and particularly due to its antioxidative effects improves nervous system diseases. As for the dosage, it’s hard to tell, but in a study conducted by Hosseini et al., 2012, the rats were injected with 200 and 400 mg/kg of hydro-alcoholic extract of Nigella Sativa, and this prevented lipopolysaccharide-induced depression-like behavior, which confirmed the anti-depressive effects of the plant and suggested that the effects might be due to its anti-inflammatory properties. But I suggest to buy Nigella Sativa in tablets, and take 2 tablets per day. 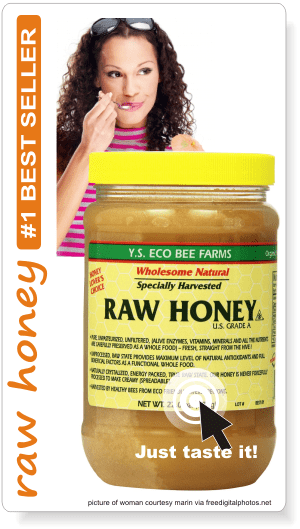 Also, if possible, take 1 tablespoon of any type of raw honey you have, every time you take them. And trust yourself. The fact that you are willing to search for a healing is already doing the job. Trust your inner child and always remember that it takes A LOT of energy and work to step out of it, there is no point in denying it. But it is possible. I am a throat cancer patient and have been using black seed for the past six months but have not seen any improvement in my health. Am still loosing weight and continue to endure pain. Please, am I not doing something right or should use the oil rather? Peter, I’m so sorry for you. And even more sorry because I cannot help you with an advise. You need to ask a naturopath but I know it’s hard to find a good one. Yet, keep asking on all the forums on the Internet. You can also try at keephopealive.org, send them an email. Black seeds are more efficient in powder form (heat the seeds first and then grind them). Maybe the dose is not right? And you are, I think, taking other supplements as well, right? I’m afraid your question exceeds the purpose of this website. I’m am not a therapist, all I do is gather new info to offer the readers a point to start. I search for studies that support folk claims and offer new perspectives and possibilities. But as I said, as a starting point for one to explore. Black seeds are said to have no side-effects, so I would, personally, give it a try. Nigella sativa seeds stimulate immune cells and raise the interferon production which protects cells from the cell destroying effect of viruses. The clinical trials have said that. As the genital warts are created by a virus, the black seeds can only help you in fighting them. There are no known side-effects so I think you can give the seeds a try. Ask your therapist for his opinion, too. Reading this kind of comments makes me want to be a therapist. But I’m not, so I cannot help you with more than a few conclusions extracted from the available online literature. 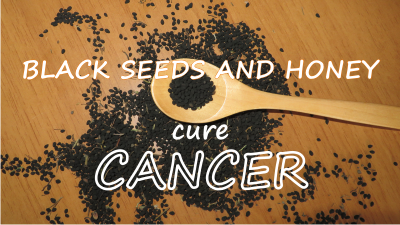 Black seeds have been studied a lot, and they have proved to be efficient in fighting breast and other types of cancer. And it worked in powder and oil form, too. From the KeepHopeAlive.org – which is site I recommend – I found that some people reported that the powder had better results. Black seeds are to be part of a bigger protocol, with a different lifestyle and diet. And, most importantly, a cleaning of the mind and spirit is also needed. You need to heal the whole you, body and soul. Yes, the black seeds are good for this. Studies have showed that thymoquinone, a substance extracted from the oil, had very good results. So, perhaps the oil works better than the powder, as it is more concentrated. Hi Laura, thank you for the information you dish out. I would please want you to tell me which is better in treatment of HIV. The blackseed oil, tablet or the blackseed powder. Also, if you can specify the vitamin D with the required composite. I want to start this as soon as possible but don’t know which to start with from the oil, powder or tablet. From what I’ve read black seeds are more efficient in powder form. The easiest way to take it is in veg capsules. As for the right dose, it depends on your blood tests results. Please read this page Do black seeds really cure HIV? Some case reports may help!, where you will find stories of other people taking it. There are also forums with people like you using the black seeds, sharing their experience. It may help a lot. It really is hard to give an advice from the outside, some people take Vit D 5000 IU, others of 10000 IU. It depends on your blood levels. Please read their stories and you’ll get an idea. Please try and contact a naturopath, remedies should be well personalized. I am in no position to give any type of medical advice here. Try to talk to the persons from the clinics that made the studies, universities, naturopath, and forums. All I do is gather the information in one place, so people can have an idea and have a point for a start. I’m sorry I cannot help you with more. hi laura,,,, can we use black seed oil externally for cancer treatment?? The Prophet said it can cure everything, but we should know how to use it. Studies have proven that they work for this modern illness called cancer. But I’m not a therapist and I don’t know which is the protocol used for skin therapy. If I may, I have another suggestion. If you can buy it from Canada (I don’t know where you are from), they make therapeutic cannabis oil, which has excellent results for skin cancer. Please read the story of Rick Simpson, the man who actually revolutionized this therapy. : http://www.cureyourowncancer.org/rick-simpson.html On this site you can find everything, just take a look. Hello Laura, I’m 24 years female and in my antenatal care I found out that Im HIV + and the obviously i have become a victim of it after marriage. I’m also hsv + and all these STD’s were brought in me by my husband. I went for my cd4 count and it had fallen in a normal range and I went for a test after completing the treatment of consuming honey plus black seeds twice a day before a meal. I dint check my cd4 count before it. It’s two month now and I have done my VL test and the results of which I’m going to receive in few days. I pray that everything comes normal. I also added 4000 iu vitamin D supplement in my diet. It’s that for a month I had been very much diet conscious but now I’m having the meals like rice, meat, fish,wheat and sometimes snacks as usual. I can’t take a bigger dose than these as I’m concern about my fetus and if remedy or supplement is taken in excess there is a possibility that it get harm. I’m not on ARV’s,though doctor forced me to take it but I refused it on the ground. I added Manuka Honey in my diet just two days I.e I add it with blackseeds and I’m going to replace normal honey after a month or so as well as I’m consuming coconut water with chia seeds early morning empty stomach almost from 1.15days and Beet juice from almost a month. Apart from these what are the things that is required for a quick healing can you please tell me? I need your help especially what foods to be included and excluded from my diet to overcome STD’s including hiv and hsv in a very short duration. Have you changed the type of honey lately? You cannot get allergy from the black seeds. On the contrary, they are an exceptional good treatment for allergies. Maybe it would be good to try and take them as tablets. Check your other foods and see what can give you that. I must start by telling you this is only an informative site and all I do here is gather information related to health and honey. I am not a medical doctor nor a licensed naturalist. From what I’ve read, you are following a path which is supported and recommended by many studies and natural therapists. Honey, black seeds, Vit D3, beet juice, these are all very good. As for the diet, if you decided to go all natural, then you should really read a lot. Info are available nowadays, online or in books (also available online) so it is within our reach. For example, I have recently found a very interesting article on how to find the EBV (Epstein Barr virus) – which is also from the herpes virus family, through nutrition. It’s about certain supplements and food than had to be included in our died, at least 2 or 3 of them every day. The products mentioned there can fight viruses in general, so I think it’s worth reading it. Here it is. You need to pay more attention and check each of them as they may cause contractions and this is not good for a pregnant woman. Please be very careful and read as much as you can. Do not procrastinate, every minute counts for you. And I also recommend you high doses of vitamins, especially of Vitamin C. To understand what I’m talking about, please see the page http://www.doctoryourself.com/vitamins_aids.html. There is a lot of useful info there. There are also lots of forums where you can talk to people like you and learn a lot from their shared experiences. Chris, one of this site’s readers, offered us the following link: http://www.keephopealive.org/Blackseed%20hivseroconversion.pdf Go there, read it and see if you can apply it into your sister’s case. Also check her Vitamin D level, and give her supplements, Vitamin D level should be at its higher level. Have your also read How to cure HIV? The black seeds, Nigella Sativa, have the answer! someone can tell us how many spoons and what kind of spoon? Hi Laura , I am Manish , I want to ask you is it possible ,if a person in surviving from last stage of cancer he can live long from black seed oil….plz reply me. Nobody on this Earth can give you any guarantees, no matter what you take. Products can help the body only after the spirit decides to stay here longer. Unfortunatelly it is difficult to have a chat with our own spirit. Anyway, I have learned by now that miracles DO happen, and absolutely anything is possible. As for black seeds, in this battle they are indeed a reliable friend. Trust them. There is plenty of evidence supporting this. Please read this post: Ikaria honey or What is the secret of a long life. It’s about a similar case that may give you some answers. please, if someone use this black seed and have results, let post it !! Hi Max, please read the articles found here, maybe they can help you more. And also the other posts I wrote on the black seeds subject: Do black seeds really cure HIV? Some case reports may help! and Do black seeds really cure HIV? Some case reports may help! I’m not sure I understand exactly what you mean. Do you want to heal the wound from the operation? I haven’t found any study telling about using black seed oil for skin conditions. For wounds I can recommend Activon or Revamil – as natural alternatives with incredible results. 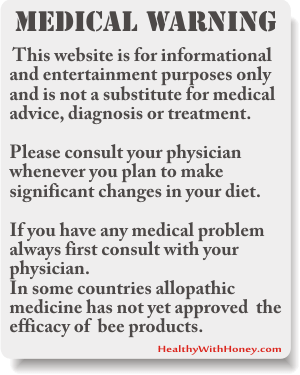 See medical disclaimer at the bottom of the site. Yes, the purpose of this article was to show that black seeds are good for cancer. It is a good idea to find a naturalist doctor and to follow the treatment under his recommendations. The entire diet is different. But that the black seeds work, it is a fact already proven by science and multiple studies. Have you seen this page? This is a site which gathers information so people can find it easier in one place. I cannot give you any advice on how to treat yourself, I’m am not a doctor nor a therapist, but I can show you some leads and some alternatives. Read the page Do black seeds really cure HIV? Some case reports may help! and send the dr an email with all your analyses and tests, tell him your story, your diet, your medication and he may give you a competent answer. A naturopath can also give you an advice. I am HIV positive. I have been on black seed powder and honey for two months now. I feel alright now generally because I used to get tired but I no longer do. I feel that’s a good sign. Now the problem is that my sinus seems to be getting worse. I bought a bottle black seed oil and put some drops but it only got worse instead of some relief. what should I do? I am in Zambia by the way, so vitamin D is not a problem since we are blessed with sun shine. how do you take black seed powder and honey? “Blessed with sunshine…” – this sounds so nice! It depends a lot on what exactly is your medication, diet and lifestyle. The best thing to do now is to see a doctor and know exactly what is the problem with your sinuses. Once you have a diagnostic, you know what to treat. Have you read this page: Do black seeds really cure HIV? Some case reports may help! Also, you may send an email to the doctor mentioned there and be as detailed as possible. P.S. Medical Disclaimer in the footnotes of this site. Absolutely. Please read this page first: Do black seeds really cure HIV? Some case reports may help! The “Simple Protocol” calls for using 1 tsp. oil w/ 1 tsp. honey. It goes on to say that seeds can be used instead of the oil. My question is this: would it still be 1 tsp. seeds w/ 1 tsp. honey? Or, since 1 tsp. of oil = 2.5 tsp. of powdered seeds, would it be 2.5 tsp. of powdered seeds w/ 1 tsp. honey? You are right. But I think of taking it with more honey in this case. You may consider reading this page here enter the forum mentioned there or send and email to the administrator. That side doesn’t address only to people with HIV. also which honey should be used with it ? i read somewhere raw manuka honey, kindly comment whether oil is better or powder? – Any honey is good to be mixed with black seeds. Perhaps the darker ones are better, as they contain a bigger quantity of antioxidants. 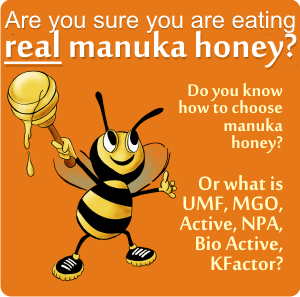 – No, I don’t think manuka honey is recommended here, as its high content of MGO is more useful as antibacterial, not for cancer. On the contrary it can do some harm. – No, it seems that the powder of black seeds is more efficient than the oil. HI LAURA! I . i want to know whether the patient with a papillary thyroid cancer can be treated with black seeds and honey? if yes then whats the protocol of using it and also the dosage and other requirements if any? The answer to your questions exceeds the purpose of this site. I can only help you with a site which specializes in treatment with black seeds, cannabis oil and others. It’s http://keephopealive.org/ . But before starting anything send the administrator of the site an email with your personal case, blood tests results and current therapy included. He can give you an answer. And then of course, tell your doctor about any change in your treatment or diet that you intend to do. I just took nigella black seed oil half teaspoon with half teaspoon honey and it is burning my throat and esophogous real bad, what can I do to stop the burn. I have taken it before and it didn’t burn. don’t know what I did wrong this time. Please reply soon I am in panick mode. If this happens perhaps you should mix the oil with more honey, like a full tablespoon. Taking a spoon of coconut oil could ease the burn, but I’m sure that the burning sensation has already passed when you read this. Perhaps it would be advisable to try the capsules. They are easier to take. Or powder, if you cannot swallow capsules. Have you read this page: Do black seeds really cure HIV? Some case reports may help!? Hi Shefali. You can take black seeds with water, either as powder/capsules or oil/softgels. Doses are different according to your conditions and test results. You can learn more on this therapy from the book I mention in the article (Immune Restoration Handbook). It is $11 for a downloadable version on kindle or phone. It’s a book based on real cases treated with different therapies, black seeds included. If you still have other questions, you can also directly ask the author about your specific case. I have just bought around 250 grams of Black Seed powder. Hope you could guide me to use it as an internal medication. I happened to have a bottle of raw honey extracted from dwarf bees. I will be very glad if you could get back to me whenever possible & avail me the knowledge of its intake with or without honey. OH i forgot to mention the reason to commence treatment – the reason is obesity & stage 1 Diabetes. I am anxiously anticipating your reply. Secondly, I am not a doctor, nor a therapist. I only research and gather info here, trying to offer new perspectives of approaching things. To offer more directions. I try to keep my objectivity as much as possible and to always give references and credits to my sources. Coming to your request: nigella sativa is a great choice, for any condition, you did a good thing to trust them. I also wrote another 2 articles on it, please read Nigella Sativa, the black seeds, can cure every disease. Come on… and How to cure HIV? The black seeds, Nigella Sativa, have the answer!, in case you haven’t already done that. There you will find dosages and recommendations. I don’t know what to say about your raw honey coming from dwarf bees. I will have to research more on this, as in this point I know nothing about it. And I wouldn’t risk. You have probably read about losing weight with honey and water. Well, please read this first: Can honey help you lose weight? The truth, please! There are limits here, that are not being told from the beginning. If you want to heal something and for this you need big quantities of something (honey or anything) than maybe you consider talking to an apitherapist first. At least on the email level. Here is a list of apitherapists in the US. It may help you. That 3 seed combination you have listed as the preferred blend of Dr. Leonard’s is available for purchase by Rain International. It’s changing lives all over the world!! See my website for more information. Shantelle, thanks for your contribution. Unfortunately I have not found any study that relates the black seeds to hepatitis B, so I cannot say much. It might work, after all it’s about a virus, but as I said, I haven’t yet found any medical study on this.